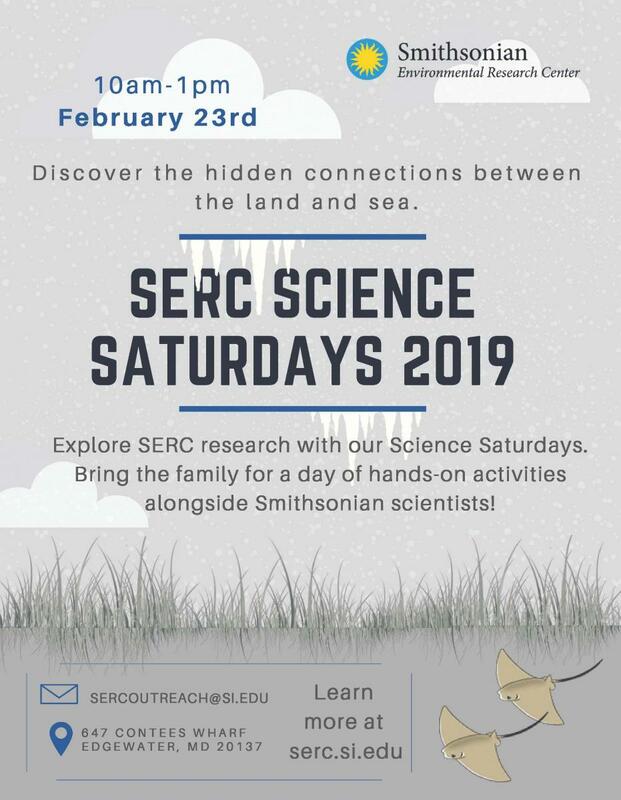 Enjoy hands-on activities with Smithsonian scientists, at the first of five SERC Science Saturdays in 2019! Explore SERC research with our new Science Saturdays, rolled out for the first time in 2019. Bring the family for a day of hands-on natural science activities. Each of the five Science Saturdays will dive into a different theme, with a different group of Smithsonian ecologists. On Feb. 23, discover the hidden connections between the land and the sea. Free and open to all! For more information, email SERCOutreach@si.edu.